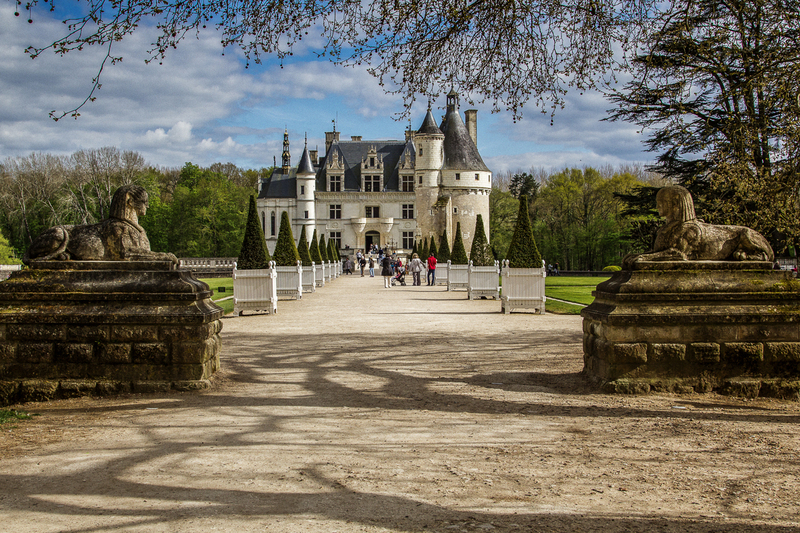 Welcome to the Loire Valley, where if you wanted to be someone in the 18th century, then owning your own chateau was a definite must have! Within the valley, there are supposedly well over 300 chateaux (built between the 10th and 15th centuries). Of course in 1789 when the French revolution occurred, it wasn’t such a good thing and the number decreased markedly! This did of course make it a bit easier to decide which ones to visit, but in saying that there are only so many castles you can see before they start to all look alike (my apologies to Mathias our guide in Normandy who would be horrified at such a statement). Anyway there was only really one that I wanted to visit and that was Chenonceau and this ended up being the base for our three day visit to this part of France. 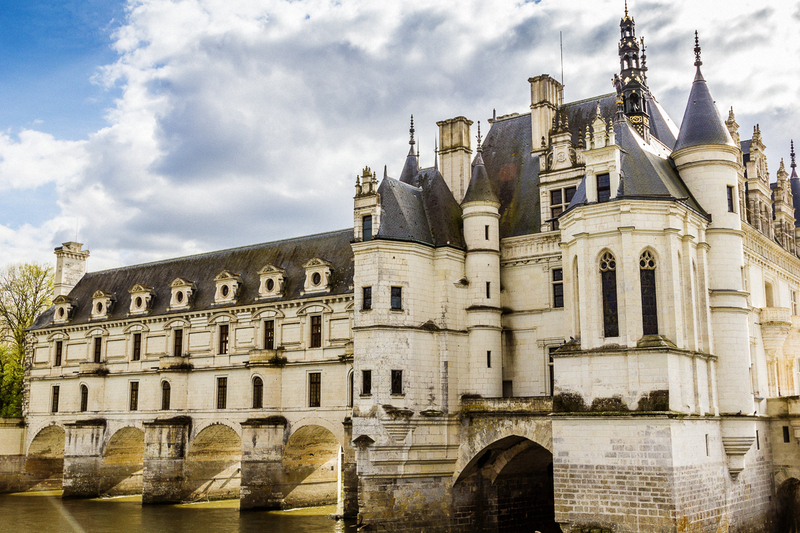 The design of Chenonceau was the only chateau where the design was heavily influenced by French queens and a King’s mistress. As you can see from the photo it is quite impressive and I could just picture life back then with the parties held in the ballroom and the women of the house strolling around their gardens on a beautiful spring day when the flowers were starting to bloom, which it was for us on the day we visited. It is definitely getting warmer as we head further south, roll on summer number two! My apologies to you all back home as I know the rains have finally come. On our second day here we did a road trip to Chinon passing through Loches, which was where we stopped and just like La Fougere, we discovered yet again another chateau that we couldn’t go past. 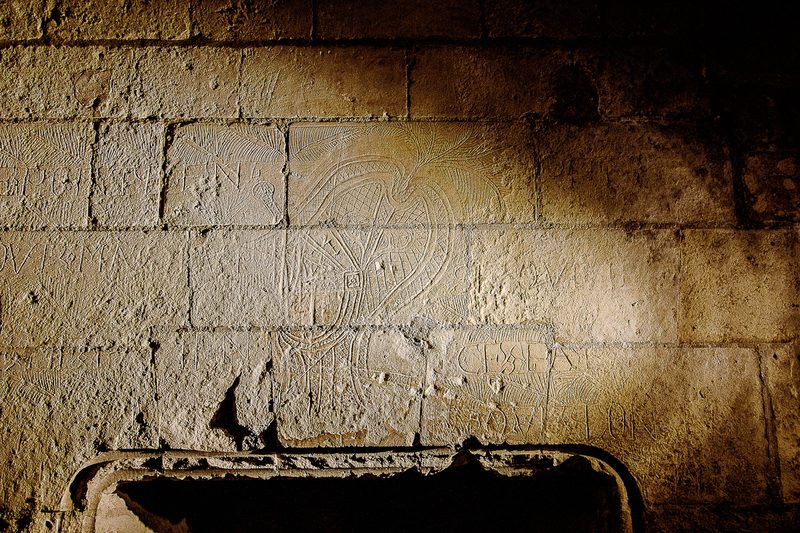 This one was used as a prison and had its own torture room! There was even graffiti on the walls from some of the prisoners held there and a cage that was used as a cell and hoisted up to the ceiling; it even had its own toilet built into the door!!! Anyway, it ended up being a great day and we topped it off with the most amazing dinner, which was Michelin guide standard, with prices to match, but boy was it good!! !